investigators work in dangerous environments, operate amongst complex legal issues, contend with limitations in infrastructure, with inadequate training inside an organizational structure that does not optimally support their role. Recommendations and future research considerations were provided regarding the antifraud program, security protocols, client education, cooperation, collaborative databases, power outages and surge protection, transportation needs, training and development, and organizational structure. Microfinance institutions play a critical role in helping the world’s poor meet their basic needs. When acted upon, these recommendations will make a positive impact on their efforts towards poverty alleviation. Bell, A. (2017, April). 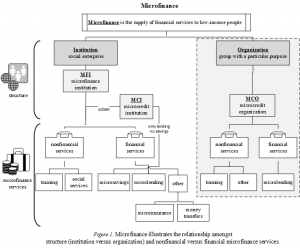 Investigative Challenges of Fraud in Microfinance Institutions. Ann Arbor, MI: ProQuest Dissertations Publishing. Retrieved from http://search.proquest.com/docview/1897539155.